We are all excited for summer 2018 at Bright Lights! 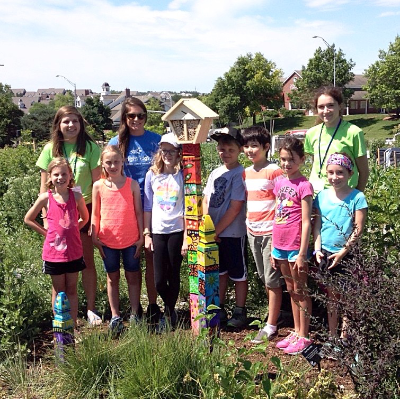 The fun topics, engaging activities, new friends… and did I mention fun?? But before we get there, classes and camps must be picked out and then registered for. So we thought we’d share the when, where and how of our registration process. We are excited to share that our registration date has been moved up this year to Saturday, March 24th at 8:00 AM! Registration takes place at BrightLights.org. At 8:00 AM that day, a registration button will appear and you will be able to click on it and start the registration process. If you signed up for Bright Lights classes last year, you will already have an account with Active Network (our registration system). If you have forgotten your password or if you need to change the email address associated with your account, you can go to Active.com, sign in, and update that information any time. You can do this even before our registration opens, but you will NOT be able to select classes yet. 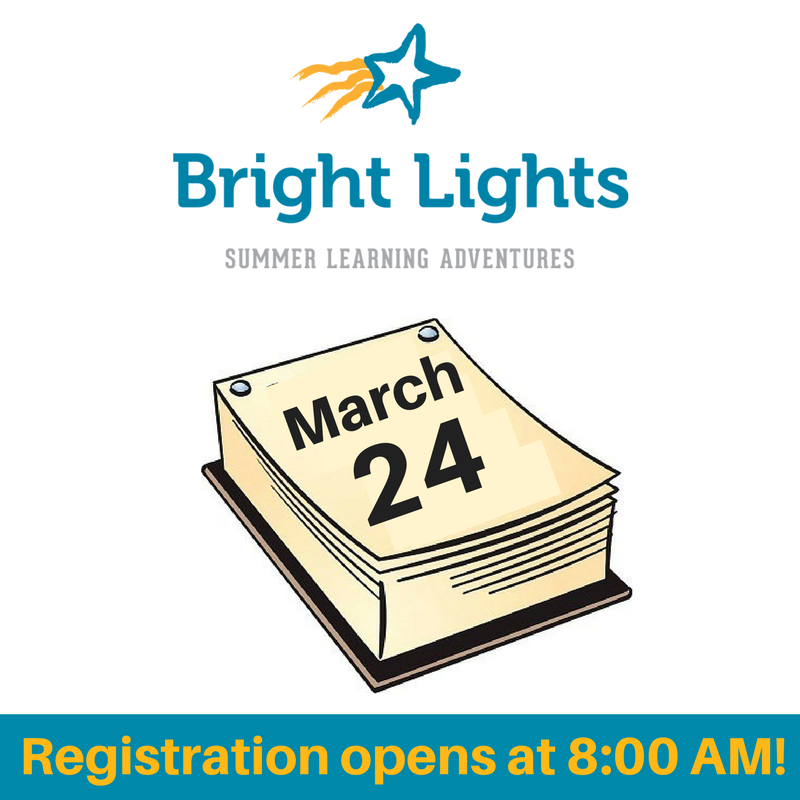 If you did not sign up for a Bright Lights class last year, you will be able to create an account beginning March 24th at 8:00 AM. Just go to BrightLights.org and click on the registration link. •	All registrants need a valid email address to register. Class confirmations are immediately emailed to the address provided. •	A list of that classes your student(s) want to take, along with an alternate class choice. You can see a complete list of our summer classes to discover what sparks your student’s interest at BrightLights.org/programs. •	You may select all of the classes you need for all of your students at the beginning of the registration process. The class is yours once you add it to your cart. Therefore, if you have several students you are registering, there is no race to the end to try and get them all in. As long as you continue progressing through the registration process, the class will be held for you in your cart. •	You can update your password or email during registration without losing the classes in your cart, as this question is asked after you select your classes. •	Payment is required at the time of registration. We accept Visa, Master Card, Discover, American Express or electronic check (eCheck). TIP: If you choose eCheck, Bright Lights incurs lower fees! Watch for more registration information and tips to appear here and on our social media accounts as we get closer to March 24th. If you have additional questions about the registration process, please email registrations@brightlights.org or call 402.420.1115 ext. 45.